Sheeza set up the crowdfunding platform, UpEffect, after she saw a great need to empower businesses doing good and give them the means to make a tangible impact on the ground. This young woman has big ambitions for social good in business. We're really excited about what's going to come next for the platform. 1. What motivated you to set up UpEffect? While completing my Masters in Computer Science at the University of Nottingham, I volunteered for various nonprofits and continued to do so post graduation but soon learnt how inefficient the world’s most “reputable” nonprofit organisations were. Many aid projects required long-term solutions and most aid was dependent on donations which meant impact was always limited. I realised that we were going about it wrong - if we were to tackle today’s greatest problems, it could only be achieved and scaled through business. After spending many months engaging with social enterprises and understanding best practices, in 2016, I launched UpEffectwith my cofounder, a crowdfunding and support platform for sustainable businesses doing good in the world. We're unlike any other crowdfunding website. Instead of simply providing another platform for campaigns to raise money without any help, UpEffect employs industry best practices to make sure founders are creating exceptional campaign pages and building a “crowd” to back their projects. In essence, UpEffect allows smaller fish that get neglected on larger platforms to convert their powerful ideas into successful campaigns, not only to meet a funding target but also to successfully launch a product to a loyal customer base. Campaigns on most crowdfunding platforms suffer from limited curation, lack of personalised support, and mass-market focus. In stark contrast, UpEffect’s enterprise solution approach and campaign consultant model drives their 100% success rate. Kickstarter and Indiegogo are not well positioned to support impact businesses as they rely on sensational stories and one-offs for their success. Hence, 56% of Kickstarter and 90% of Indiegogo campaigns fail, while 9% of Kickstarter campaigns have failed to deliver a single reward to supporters, essentially pocketing the crowdfunded money. UpEffect is completely revolutionizing this model. 2. What’s the once piece of business advice you wish you’d been given? I’ve made countless mistakes during the course of my journey. No one ever tells you how hard running a business is. The media has continuously glamorised entrepreneurship and painted many startups as “overnight successes”. There is no such thing. It takes a lot of resilience, tenacity and strength to run a business. 3. What do you think are the qualities of a good entrepreneur? Persistence. Most startups fail purely because the founder gave up trying. It takes many years of hard work, learnings and improvements before you start seeing results. 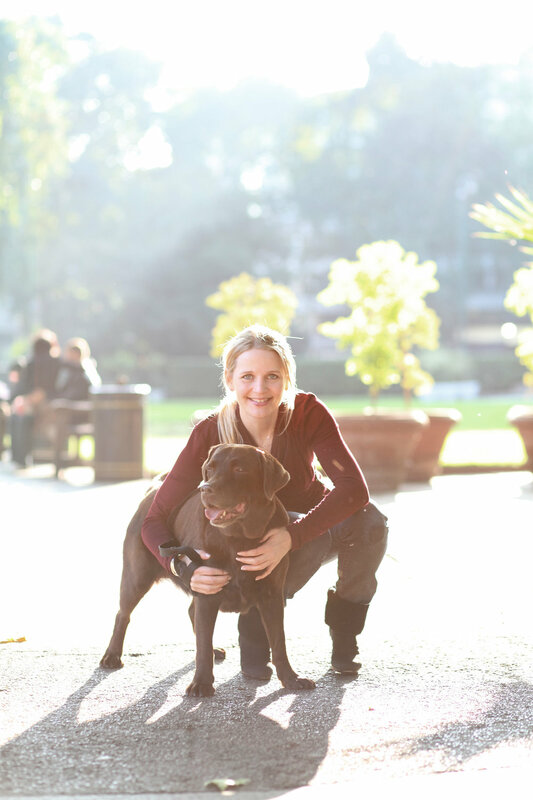 I also think discipline and embedding healthy habits are vital in building a successful business. Looking after your personal health is the most important thing you can do for yourself, your customers and your team. 4. You talk about embedding healthy habits into your schedule. What are your healthy habits? When I made the decision to run a 100% remote business, I taught myself the importance of self-discipline. There are so many advantages to having the freedom and independence to work from anywhere in the world but staying motivated can be a real challenge if you don’t have structure. Every day, I plan my to do list for the next morning; a list typically made of 3 - 4 large tasks. This ensures that my brain is not scrambling for information in the morning or trying to remember all the things that I need to get done. It also means that I’m able to focus on personal development before I get started on work. I typically start my morning with prayer, a 20-minute run, getting ready and breakfast. Owning my morning and ensuring I make time for myself has been monumental in building a positive mindset. Also compartmentalising my days so that I focus on specific areas of the business in large blocks has really helped with task management. I try to wrap up the day between 6 and 7pm so that I have an evening to look forward to. Founder burntout is very real and incredibly tough to recover from. After having experienced it, I now take many measure to actively avoid repeating past mistakes of overworking myself. It’s just not worth it. Health is the most important thing. You can run a thriving business by managing your tasks and days well. It all comes down to discipline and organisation. 5. What’s your greatest achievement so far? Maintaining a 100% success rate in helping our companies get funded. It brings us so much joy to see the transformational journey of the entrepreneurs that we work with everyday. Witnessing an idea convert into a successful business and make a real impact in a community is incredibly satisfying. 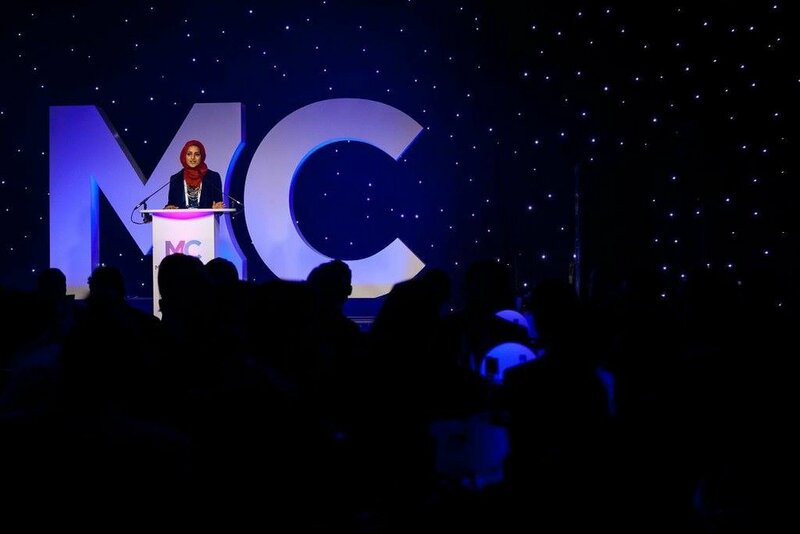 Sheeza at the MC Awards. 6. What do you think defines success? It’s very difficult to define success. I don’t perceive success to be a destination. but rather a journey. You achieve one goal, then you move on to the next. We keep pushing the parameters of success in our lives, whether it’s at work with regards to a promotion or landing a particular client at your business, or it’s with finding the right partner and having children. The list grows as we progress in life, therefore, I personally don't attach a definition to success. 7. What keeps you awake at night? The ultimate goal of UpEffect is to help every business go ethical and aid the fight against all forms of poverty. I love that we’re a driving force behind many businesses that are actively working on building a healthier planet and raising the standard of living for many local and global communities. 8. What social enterprises would you love to work with? Brands like Warby Parker, Lxmi, The Krotchet Kids and The Soular Backpack are doing incredible work in the field of social entrepreneurship. We would also love to work with more local businesses and artisans to raise awareness on their work and connect them to a global marketplace. 9. If you weren’t building UpEffect, what would you be doing? Probably working as a tech product manager for a social enterprise. I couldn’t see myself working for a non impact based company, I would need to be contributing to sustainable change through my work.